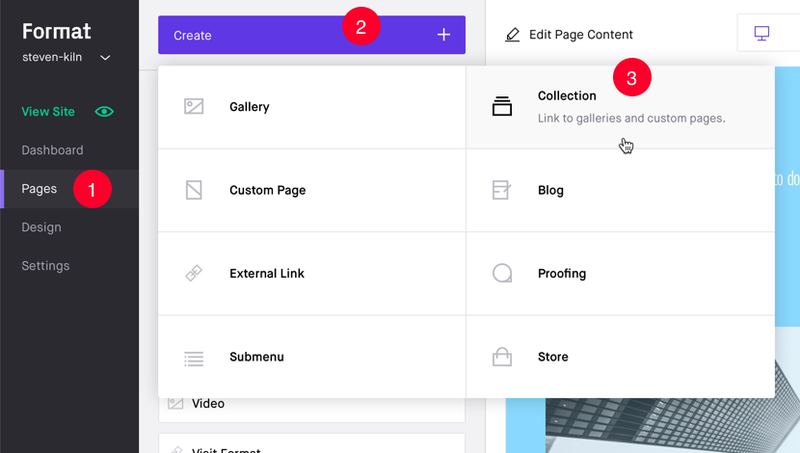 Collection Pages allows you to create a visual navigation that links Gallery and Custom Pages in your site. 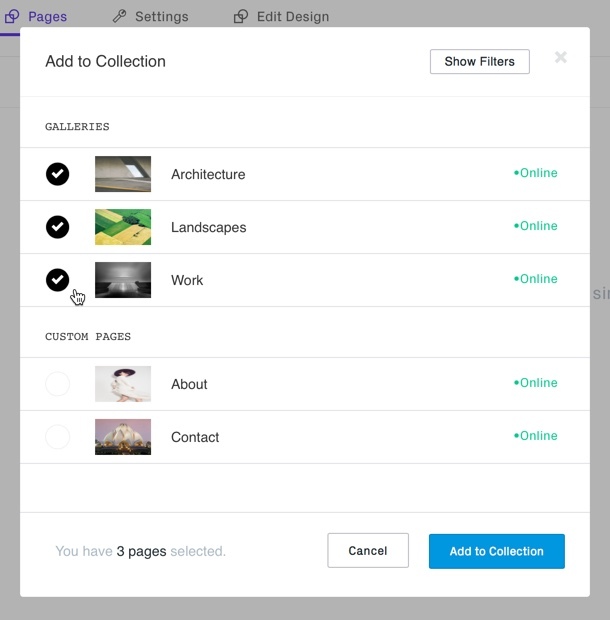 Create your Gallery and Custom Pages before trying to add to a Collection Page. A dialogue panel will be displayed. Enter a name for your collection. Tap 'Add Collection' or 'Cancel' to exit. 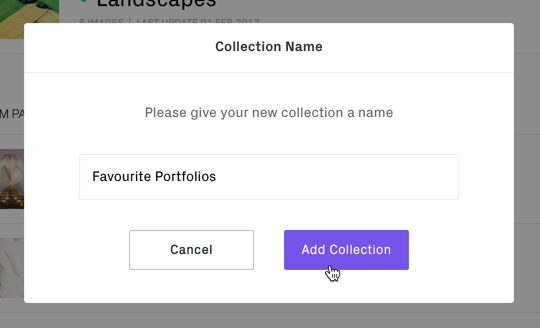 Your new Collection Page will not appear in your Site Menu. The 'Visibility' will be shown as 'Online'. There are three visibility 'states' possible: Online, Private and Offline. Tap to activate dropdown and change. Select from available Galleries or Custom Pages. It is not possible to add Proofing Projects, Store Products or Blog Posts. Tap 'Add to Collection' or 'Cancel' to exit. 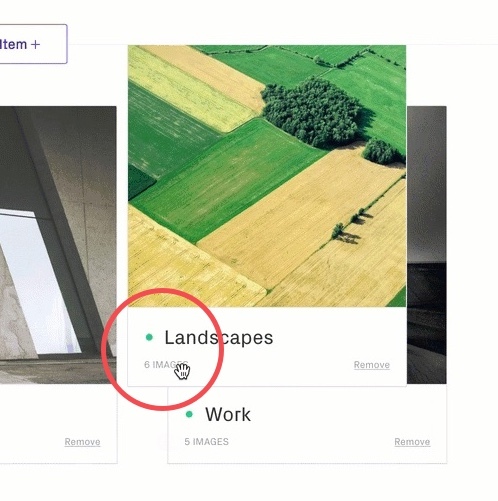 Your Collection Page now show thumbnail links to the Gallery Pages or Custom Pages you selected. To remove a page from the Collection tap the 'Remove' link in the lower-right corner of the thumbnail frame. You can change the order your items appear by tap-and-dragging on the lower panel. Move to the position you want it to appear. A blue-colored vertical 'line' will show the new position. 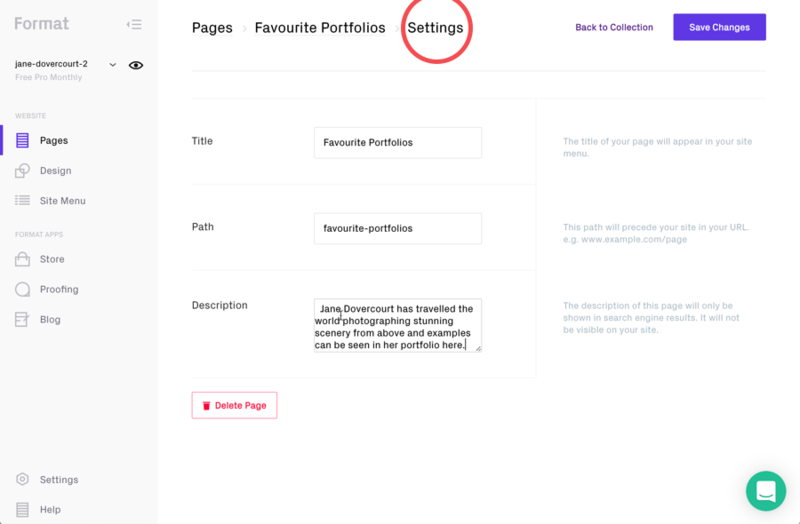 Any changes you make within the Collections Page Editor will not be applied to your Live Site until you have 'Save Changes' in the top-right corner. Title: the title of your page how it will appear in your site menu. Best practice is to use lower-case characters and a hyphen '-' between words. Description: the description of this page will only be shown in search engine results. It will not be visible on your site. Delete Page: Removes Collection Page. 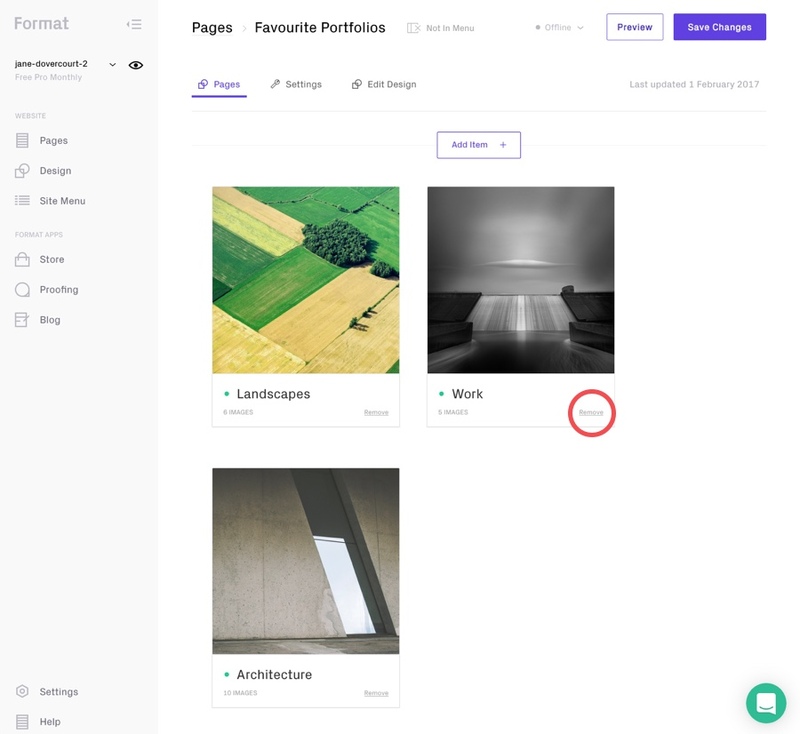 The actual 'Collection Page' Design options that are available for your theme may differ from what is shown in the example above (Horizon Left theme) as they are theme dependent (some themes may not have the same options).